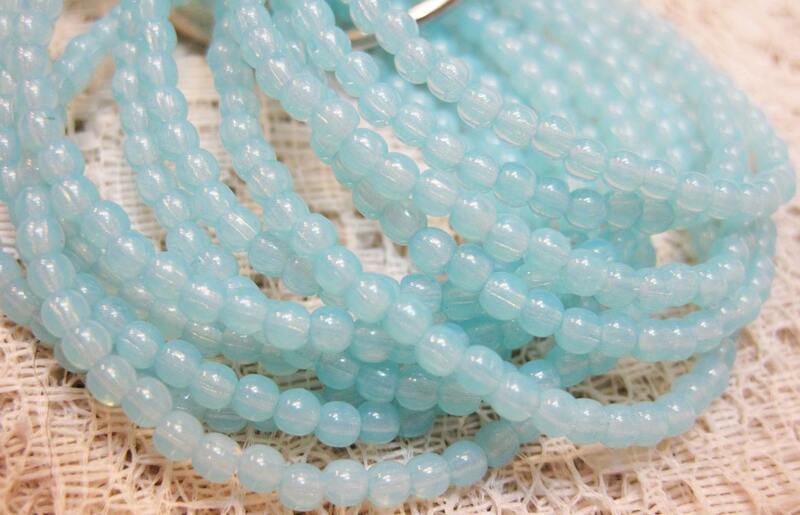 Light aqua blue opalite Czech pressed glass small round Druk beads. These are 3mm and there are 50 beads per strand. Exactly as described with fast shipping.